Recently in my “homeschool mom” circles, an article has been going around talking about the downsides to homeschool. I agree with the article about the downsides to homeschool, and I think it’s a great reminder to people who are thinking of homeschooling that we’ve got to go into it with realistic expectations. But, I’ve got a different perspective. I’ve taught public school. Both my parents are retired public school teachers. I had my oldest child in public school. It was disastrous, by the way, and we flounced out of there two weeks into first grade. I see people all the time saying that homeschooling is so hard, or saying that they want to stick their kids back in public school for whatever reason. I see soooooooo many people who think that public school is the cure-all for educational issues. We get this “grass is always greener” syndrome, right? The fact is, as a parent, you’re the one who’s got to take responsibility for your child’s education. Or lack thereof. If you put your child in public school, and he/she does poorly…then what? In the end, it doesn’t really matter if it’s someone else’s fault that your child didn’t learn to read in first grade. The only way the situation is going to get fixed is if you, the parent, take responsibility and either teach your child yourself, get a tutor, or put enough pressure on the school that your child gets appropriate help. None of these options is easy. So is having children in public school. Whatever issues you’re having in homeschool, I can say as a former classroom teacher that there are very few that will be solved by putting your child into public school. Is your child “below grade level?” This issue will not be fixed quickly in public school, if ever. You will suffer through many, many parent conferences, evaluations, meetings, etc….. I’m just going to point out that there is an entire industry that revolves around helping parents fight schools to get their children appropriate help when they are below grade level. There’s a reason that industry exists. 2. THERE WILL BE DAYS WHEN YOU WANT TO QUIT. And there will also days when you want to quit public school. You don’t have any flexibility. You don’t have any control. Your child might suffer every day in public school, and you won’t have the ability to change it. Whatever it is that you don’t like about your homeschool, at least you have the ability to make changes. In public school, your choice is to battle the current school, or change schools. 3. THERE WILL BE NIGHTS WHEN YOU LIE IN BED AND WORRY. And there will also be nights when you lie in bed and worry about your child in public school. I’ve been in that situation, and I know a lot of parents who did the same. 4. YOUR HOUSE WON’T BE PASSING ANY WHITE-GLOVE TESTS FOR A FEW YEARS. And even if you do get rid of your kids for six or seven hours per day in public school, they’ll still come home and wreck your house after school. Also, you’ll probably decide to work out of the house since the kids are gone at public school all day…and lemme tell ya, I’ve been a full time working mom, and my house looked worse than it does when I’m a part time working homeschooling mom. 5. YOU MAY NEED OUTSIDE HELP. You also may need outside help if your kids are in public school. This is why places like Kumon and Sylvan and a million other people, tutors, and teachers are making a great living. I know people who spent thousands and thousands of dollars on attorneys to get their children appropriate services in public school. Even if you don’t get outside help, you’re still the one who has to sit there and help your child through homework. 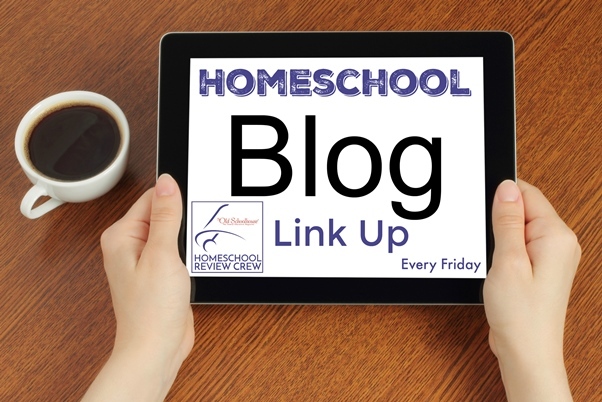 If you combine regular homework with some extra tutoring or enrichment to give your child a good education, the time you’d spend on that ends up being not much less than what you’d have spent just doing regular homeschool. 6. YOU’RE NOT GOING TO WIN ANY POPULARITY CONTESTS. You also don’t win any popularity contests when you go to public school and 1) dump your kids back into the system when they’re below “grade level” or 2) dump your kids back into the system when they’re so far ahead that they’re sitting in class bored. 7. YOU MAY NEED TO BRUSH UP ON YOUR MULTIPLICATION FACTS, STATE CAPITALS, OR HISTORY TRIVIA BEFORE FAMILY GATHERINGS. You’ll need to do this if your kids are in public school anyway, because they’re sure not going to learn it there. Even if the teacher assigns it, you’ll be the one going over it for their homework assignments. The upside to public school is that the extended relatives probably won’t use holidays as the time to grill your kids about what they do or do not know. 8. YOU MAY NOT FIND THE SUPPORT YOU’RE EXPECTING IN THE HOMESCHOOLING COMMUNITY. Every scrap of support you get from the public-school community will be what you fought for. So your kids go to public school…well, is it the best public school in your area? What about public schools in other areas? Did your child get into the “right” magnet school? What about the middle school or high school that your child will be going to? Does it offer the “right” classes and have the “right” test scores? Then you’ll meet people who are sending their children to private school, or who are homeschooling, who will judge you for putting your child in public school. I think it’s a really mind-blowing thing for people who are new to homeschooling when they realize that homeschoolers are a mixed-up bunch, though. Sometimes I think the only thing homeschoolers have in common is that all of us didn’t fit into the public-school mold. But, the reasons why we chose something other than public school vary so much that there just isn’t a realistic pigeon-hole to put us into. 9. HOMESCHOOLING ISN’T A CURE-ALL. Public schooling isn’t a cure-all, either. For the love of Pete, don’t dump your kid into public school and think all your problems will be solved. Public schools are having a hard enough time trying to deal with average kids. Even the most dedicated, best teacher would need a magic wand to fix all your kid’s issues in the time you think it should take. The reality is that if your child is having problems and you dump him/her back into public school, you can typically expect it to take around a year for an evaluation to even happen. Then you’ll need to have a bunch of meetings about the results of the evaluation, and a bunch of planning, and then you’ll probably need to either become incredibly well informed about how to work the bureaucracy of the school system, or you’ll need to hire $omeone to help you do it. I don’t think homeschool is the right choice for everyone. Homeschooling is certainly not an easy choice. If it fits you, it’s great. If it doesn’t fit you, then don’t do it. But don’t kid yourself that public school is easier than homeschool. Even if your child is in public school, you as the parent still have the ultimate responsibility to ensure that your child is educated. If you shirk that responsibility, then it might feel easier for a while, but eventually it’s going to catch up to you. I think this is true no matter what the ability of your child. This is especially true if your child is either “behind” or “ahead.” If your child is average, you’ll have an easier time of it, but you’d also have an easier time of it in homeschool, and statistically homeschool provides a better education than public school. Thanks for this! I do not want to put my kids back in public school, but sometimes it’s tempting to think it would be so much easier if I did.